The mid range battle arena is becoming more crowded by the hour. More contenders are coming in and we need to pit them against each other. 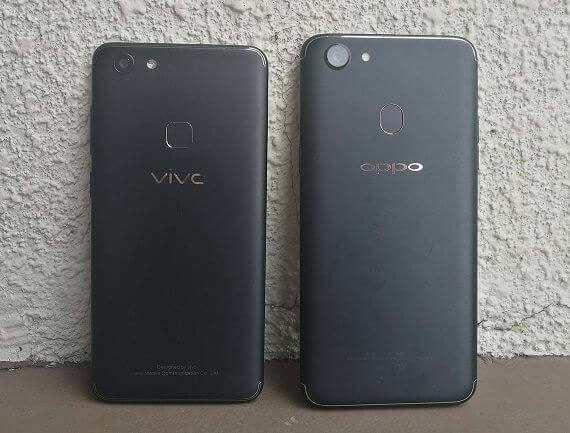 For today, it is a rivalry battle between the Vivo V7 and the OPPO F5. We are going to look into every nook and cranny of these phones and see who comes out on top. Without further ado, let the battle commence. These two mid rangers are evenly matched, and it is quite hard to tell which one got the upper hand by looking only at the specs. For one, the OPPO F5 has slightly higher battery capacity, but based on experience, the Snapdragon chipset gives better battery than MediaTek SoC. On the other hand, Vivo V7 might be lighter, but some users prefer more heft on a phone. The tie breaker here would be the price, the Vivo V7 is Php1K more affordable than the OPPO F5. So, if you want to save 1000 pesos in exchange of having a slightly smaller screen, lower display resolution, 200mAh lesser battery capacity, then the Vivo is the way to go. But, if those things are critical to you, then you have the OPPO. What do you think guys? Which one is better in real-life?